Coming this summer to a city near you is the Dew NBA 3X. If you are lucky enough to be near a city for one of the tournaments you will be able to check out the games. Mountain Dew and the NBA teamed up to create Dew NBA 3X, an elite 3×3 basketball competition tour that will make stops in six NBA markets between May and October, tipping off in Atlanta this Saturday, May 21. NBA players and legends, including Gary Payton and Dominique Wilkins, will also be on hand to interact with fans as they enjoy high-level 3×3 play, participate in exciting skills contests, listen to Atlanta’s biggest DJs and get a taste of Atlanta at local food trucks. On-site Gallery – Mountain Dew will create a pop-up gallery showcasing artwork created by local artists and fans that have been inspired by basketball and youth culture. Local artist, Joe King (@JOEKINGATL) will be on-hand to curate the gallery and illustrate around the artwork featured so that the gallery is constantly evolving during the tournament. Fans on-site will also be able to vote for their favorite artwork and take home limited-edition prints. Court Design – Local artist, Greg Mike, was commissioned by Mountain Dew to design the courts at THE GULCH for the tournament. Greg’s design was inspired by and is unique to Atlanta. This art installation will remain after the tournament to create a lasting art piece for the Atlanta community to enjoy. 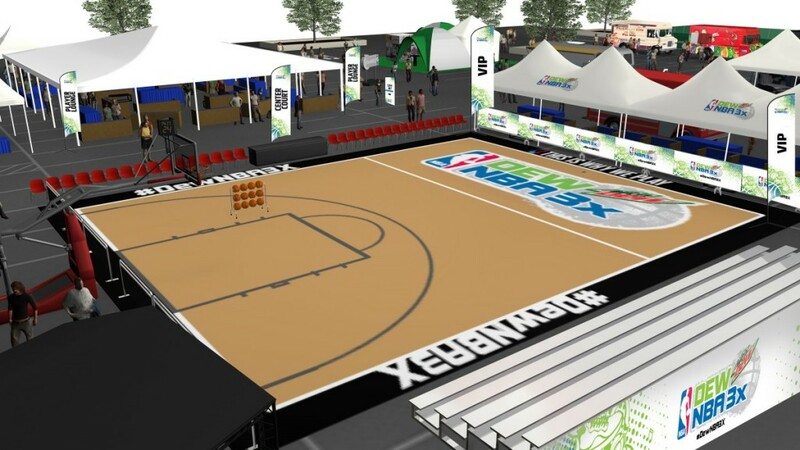 Dew NBA 3X is an elite 3×3 basketball competition infused with unique basketball lifestyle and entertainment elements. The inaugural U.S. tour will visit basketball fans in Atlanta, Miami, Dallas, Chicago, Houston and Los Angeles. The invite-only competition will tip off Saturday, May 21 in Atlanta and culminate on Sunday, October 23 in Los Angeles with the Dew NBA 3X National Finals. NBA 3X, the League’s global 3-on-3 platform is part of the NBA‘s ongoing commitment to growing and celebrating the game of basketball. Plus NBA Legend and Hall of Famer, Gary Payton, serves as the Dew NBA 3X Ambassador and will make appearances at all six stops. The Summer of Baja is Coming! Are You Ready? Print article This entry was posted by Art Eddy III on May 19, 2016 at 8:56 am, and is filed under Lifestyle. Follow any responses to this post through RSS 2.0. Both comments and pings are currently closed.